-PSUV officials declare Globovision a threat to the public’s mental health. -Government accusations are vague, harassment apparent. Lack of professionalism by Globovision is part of the mix. -Venezuelan media polarization will increase, not decrease, with otherwise laudable growth of community radio and television stations. Although Chavez has been criticized by some as being almost paranoid on the subject, he is right on one thing: Globovision, with its consistent critical, unbalanced tone, appears to be out to get him. On its national news internet portal, some of Globovision’s stories deal with Chavez’s alleged attempts to stifle freedom of speech. Others detail how Venezuela and Bolivia, both countries with socialist leaders, are supposedly contributing to Iran’s nuclear program by selling it uranium. Other famously rabid commentators on the network warn that Chavez is destined to end up hanged a-la Mussolini. It is safe to say that speech which threatens the physical security of a sitting president would be ruled out of order in most nations. Even Chavez opposition blog Caracas Chronicles criticized Globovision for “amateurish and breathlessly partisan reporting”. Chavez has repeatedly described the standoff between his government and private media as a “media war”, and that Globovision does have sufficient weaponry to win that war. Venezuelan private media has, until recently, maintained a strong anti-Chavez stance. In recent months, channels such as Televen and Venevision have toned down their criticism somewhat, as a result of pressure from the government. The most controversial move in the ‘media war’ between Chavez and the private media came in June 2007, when Chavez refused to renew Radio Caracas TV’s (RCTV) broadcasting license, citing its open support for the 2002 coup which almost toppled his government. As in the U.S., public broadcasting channels are regulated by the government in Venezuela, and the national broadcasting commission can revoke or fail to renew a station’s public broadcast license if a station is found guilty of infractions. During the unrest, RCTV refused to run images of pro-government rallies, instead scheduling soap operas during the pro-Chavez marches. It also stands accused of giving pro-opposition figures total access during the anti-Chavez uprising while shutting out pro-Chavez voices. Although RCTV can no longer broadcast on public airwaves, many Venezuelans can still access its signal on cable and satellite TV. Tensions between Globovision and the government came to a head in early May after the network broadcast information about what turned out to be a relatively mild earthquake before state-run VTV had put out an official statement. The government immediately accused Globovision of wanting to incite panic by broadcasting unofficial and tendentious information. The tremor occurred early in the morning, at a time when government channel VTV was broadcasting pre-recorded programming. “We are quite concerned that we cannot seem to locate any competent authority to inform us of what is happening,” said Globovision’s Ravell during the broadcast. “We assume that the official outlets, which broadcast so much propaganda during the day, should make an effort to inform the population of what is happening. Although the desired effect was to criticize the government’s perceived lack of professionalism or concern for the public in responding to the crisis, Globovision may have overplayed its hand and pushed Chavez a bit too far. In the following days, officials close to the Venezuelan government began to accuse the channel of having ill effects on its viewers’ mental health. Otto Parada, head of the PSUV’s (Partidos Socialistas Unidos de Venezuela) Commission on Media and Propaganda, accused the channel of “destabilizing the population’s mental health,” calling it a terrorist action. Since then, Chavez as well as other PSUV officials called for an investigation into Globovision’s actions. Several government officials, from Parada to Tarik-El Assami, have repeated the charge that Globovision is somehow undermining the public’s mental health. While such charges may seem somewhat bizarre to Western media observers, Venezuela’s Ley de Responsabilidad Social y de Telecomunicaciones (National Social Responsibility and Telecommunications law) specifically prohibits content which would be damaging to the public health. If Chavez can prove that Globovision is a threat to this aspect of public order, under Venezuelan law he can legally proceed against the station. Unlike Chavez’s 2007 suspension of RCTV, in which the president charged the station specifically with fomenting rebellion, the accusations leveled against Globovision are vague and hyperbolic. On May 25 Venezuelan ambassador to the OAS Roy Chaderton charged that Globovision took part in “media terrorism” against the Chavez regime. But actions taken by the government to investigate the station seem more like harassment tactics than a serious investigative undertaking. Likewise, PSUV head Nicolas Maduro threatened “legal actions” against the network, but declined to specify what those legal actions would be. “This is an outlaw station,” he said to reporters. “It is a failed, anti-democratic, racist station which practices the values of international fascism.” Although Maduro’s comments were full of anything but substance, Globovision’s problems also arise from its sensationalist, at times irresponsible brand of journalism. Its style often makes it difficult for ordinary, well-meaning Venezuelans to convincingly rush and join its cause. Although Chavez criticizes private outlets for their confrontational tone, he judiciously ignores his allies at Venezolana de Television, (VTV) the government’s public channel. Under Chavez, the government channel has been transformed from a minor operation with almost no viewership into a public relations outlet for the Bolivarian Revolution. One of the channel’s most popular shows, ‘La Hojilla’ (The Blade) is hosted by Mario Silva. 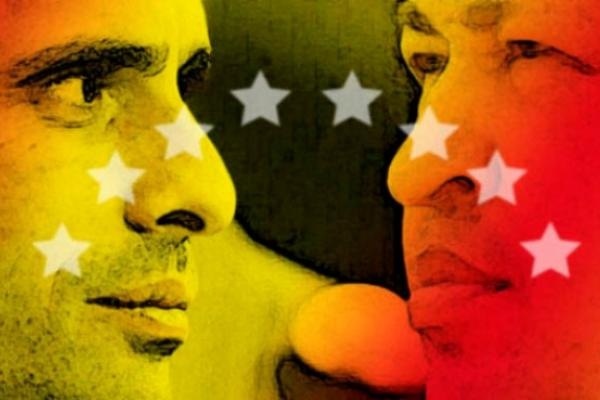 A strong supporter of Chavez, Silva attacks Chavez opponents on-air and launches fantastical, vitriolic attacks on opposition members which border on slander. In one recent program he singled out an opposition protester by name and accused of her of having links to Colombian intelligence services. On the same episode he labeled Guillermo Zuloaga a “thief”, without providing any evidence backing up his claims. Silva’s program is in talk-show style format and his demeanor is conversational. It resembles less a news program and usually degenerates into the rants of an angry ideologue. Although Chavez consistently attacks opposition outlets for their at times unprofessional style, VTV never appears to be on the receiving end of his anger. On May 23, the home of Globovision president Guillermo Zuloaga was raided in what authorities termed a car smuggling investigation. Zuloaga, who is a partner in a Toyota dealership, had 24 vehicles stored at his private residence. While it would seem odd that a person with access to a dealership’s storage facilities would park cars in his private residence’s driveway, the timing of the raid is questionable. While it is quite possible that Zuloaga may have been participating in illicit activities, an entirely coincidental raid coming days after his station had come into conflict with the government would seem to require a suspension of disbelief. On June 5, Zuloaga was brought up on the nebulous charge of usury connected to his automotive practices. Other legal actions taken against Zuloaga include an investigation opened June 2 to determine whether he violated environmental laws by mounting animals on the wall of one of his homes. Recent actions taken against Globovision include a $2.3 million fine on unpaid taxes. The national accounting office, Seniat, claims that Globovision failed to file taxes on advertisement revenues it collected in 2002 and 2003. Globovision contends the ads were run free of charge, and are therefore not subject to taxation. The Venezuelan government appears to open new cases against Zuloaga and Globovision almost daily, and many of the charges seem to be unrelated and appear to form part of a wider campaign of government harassment against Globovision and its senior executives. The current investigation over the earthquake news coverage marks the third government inquiry into Globovision’s actions in less than seven months. The first came after Globovision reported the results of exit polls in a governor’s race in the province of Carabobo before the official results were announced. The second took place after Globovision news editor Rafael Poleo warned Hugo Chavez that he could suffer a similar fate to that of Italian dictator Benito Mussolini, who was hung from a bridge by partisan fighters during World War II. While comments such as Poleo’s are completely unacceptable and merit serious investigation and potential sanctions, the ease with which the government seems to open investigations into Globovision’s activities may be equally threatening to free speech. The fact that the allegations against Globovision are not as specific as the charges against RCTV also demonstrates that what is at issue may not be specific or sufficiently tangible crimes against the state but rather mere annoyance at an extremely anti-government editorial line, even if that line under does not qualify as responsible journalism under American standards. While most Venezuelan media remains in private hands, not all private media is entirely against Chavez. After threats of closure began circulating at the time of the action against RCTV, several outlets noticeably toned down their anti-government rhetoric. Today, private networks such as Venevision and Televen present a more balanced picture, partially in response to veiled threats from Miraflores Palace, and partially as a self-conducted evaluation of their professional responsibilities. There are some publications such as Ultimas Noticias, which openly support chavista positions on their editorial pages. While most private media in the country is or has been openly anti-Chavez at one point, to say that all private media is anti-Chavez or that Chavez is against all private media would be misleading, or at least an exaggeration. Chavez’s greatest contribution to the Venezuelan media may be giving community media official recognition. The Organic Telecommunications Law of 2000 officially recognizes community media alongside traditional private and state enterprises. Under the Organic Law, 70% of community station content must be produced by contributors and only 15% of can be produced by the station management itself. The stations must train volunteers to produce programs and these volunteers cannot be members of private media organizations, the military or political party officials. Although some longtime Venezuelan media observers such as highly regarded journalist Greg Wilpert, have asserted that these community media organizations receive no government funding, it is quite obvious that many of these outlets are predictably and aggressively pro-government. One of the largest, www.aporrea.org, is an independent, socialist-aligned website with mainly user-generated content. On its site, aporrea.org prides itself on being a “medium for debate, denouncing injustice and creating ideas.” However, there is a predictable uniformity in its ideology. Almost all of its content supports the government’s posture and the site routinely adopts government positions almost verbatim. Detractors describe Globovision as “Globoterror,” and several call for its closure. Some government critics are portrayed by the community media as “Nazis”, both in text and in digitally manipulated images. Hyperbolic and threatening language has appeared on the site’s forums, including threats against public figures critical of government policy. In recent years, Chavez has increased support for community-run television and radio stations, most likely to counterbalance the negative press he receives in the national media. Chavez has not been shy in emphasizing that the media should be in the hands of the people, and not owned by capitalists who are “traitors to the people.” To further its information strategy, the Venezuelan government has donated large amounts of telecommunications equipment to small rural stations which could never have dreamed of hoping to receive this aid under other administrations. However, it is likely there are no free lunches, and it is safe to say that most of the recipients of this aid were predictably supportive of the government to begin with. Rather than a diversity of viewpoints, Venezuelan community media appears to be more of a counterweight to traditional Venezuelan media, heightening the degree of polarization already present in that country’s news outlets. Since 2001, five new government channels have sprung up in Venezuela. When Chavez took power in 1998, there was only one government channel, VTV. Other outlets for government expression include ‘cadenas’, whereby all stations are forced to carry the government’s transmissions, and the president’s popular weekly show ‘Alo Presidente’, broadcast live every Sunday. 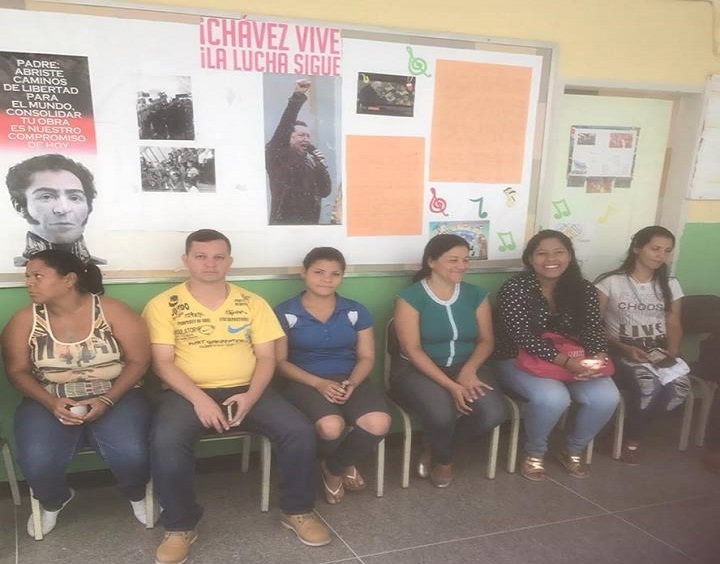 Chavez’s community media initiatives have ensured that a greater range of voices are now heard, but it remains to be seen whether those are genuine homegrown initiatives or simply chavista supporters with access to more high-grade technical equipment. The days when traditional Venezuelan media were the only game in town are over, and some outlets such as Globovision are having difficulty adjusting to that new reality. However, judging from the lack of substance behind some of the government’s accusations, Chavez has not made an overwhelming legal case against Globovision at the present time, despite the station’s alleged malicious intent. The main problem with both sides of the Venezuelan media is that neither one attempts to adhere to the most minimal standards of journalistic professionalism. Instead, journalists choose to engage in partisan activities which further polarize an already dangerously divided nation. Although traditional media has always been a vehicle for the politics of the nation’s elites, the alternative does not appear much more balanced. While some community outlets such as CatiaTV proclaim themselves as being “of the people, by the people and for the people”, their ideological commitment appears to be just as narrow as the mainstream media’s. As long as deep political fissures persist in Venezuelan society, individuals will read or watch media that conforms to their preexisting political ideals, while ignoring or vilifying those who they unfortunately see as their mortal enemies.